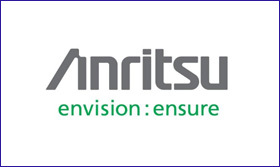 Anritsu is a market leader in highly specialized test instruments which are used to troubleshoot wireless antennas and cable base stations. But there was a problem: engineers searching for these products rarely saw Anritsu among the top listings. As a seasoned, professional organic SEO company we changed that through conducting a web site SEO audit, and submitting to the web team a revised web site architecture which they implemented. We also implemented a series of “tinkering” steps which included adding more relevant keywords to web page copy, editing pages to reflect their importance, and revising page templates and source code components. The results were dramatic: first visits from search traffic increased by over 70% and total traffic (including both new visitors and search-generated visitors coming back for a return look) almost doubled. Contact us today, and let us be your organic SEO company.